Following the Epsom operation west of Caen, the city did not fall into the hands of the Allies and some important positions remain under the control of the German forces. This is particularly the case of Hill 112, a small high point located to the west of Caen and south-east of the village of Baron-sur-Odon. It is the lock of the region which allows access to the southern plains of Caen and which offers a particularly important view on the whole sector. For the Allies as for the Germans, it is the key point of the terrain that must be controlled. 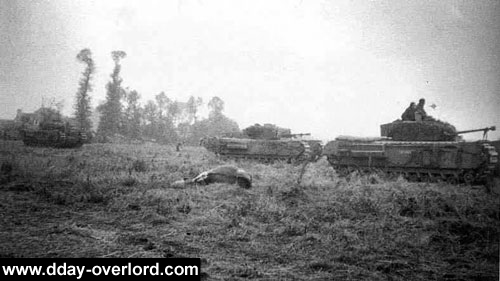 To this end, the British first attacked the 112 mark which was reached on 28 June 1944 by the 11th British Armored Division (in particular the 8th Rifle Brigade and the tanks of the 3rd Royal Tank Regiment) German attacks of the 9th SS “Hohenstaufen” and the 10th SS “Frunsberg”. A new operation was then put in place to seize Hill 112 definitively in order to avoid a possible breakthrough of the German troops. The capture of this key point on the ground also makes it possible to ensure the progress of the Allies between the two rivers Orne and Odon, west of Caen. 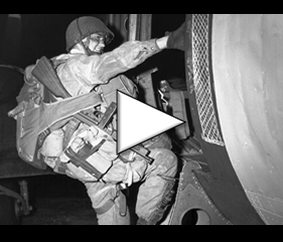 This operation is codenamed “Jupiter” and is scheduled for July 10, 1944. The 8th British Corps, commanded by General O’Connor, spearheaded this attack with the 43rd Wessex Infantry Division. 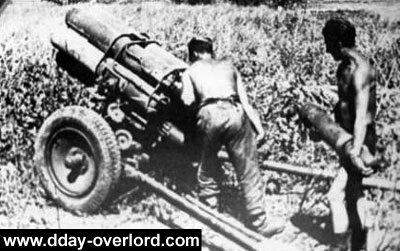 Operation Jupiter begins on 10 July 1944 at five o’clock in the morning with an imposing artillery barrage. The British soldiers of the 129th Brigade, who woke up earlier in the night, stationed themselves at their base and prepared for the assault, backed by Churchill tanks. The artillery are engaged in incessant barrage and counter-barrage fires. 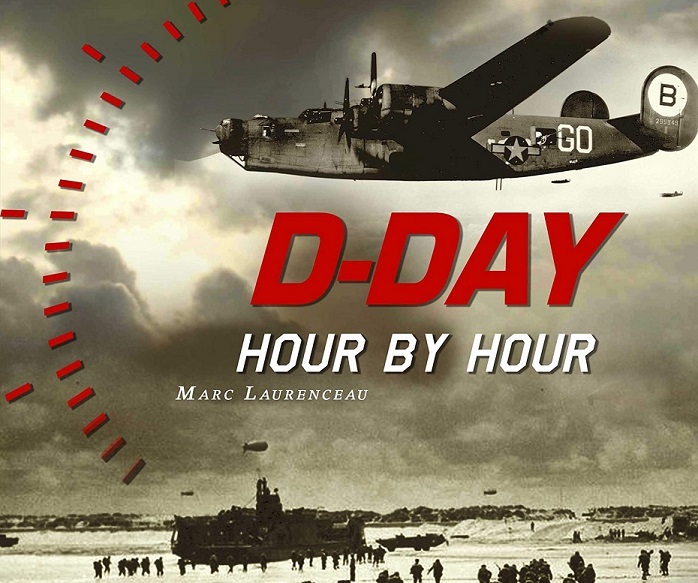 The Allied infantry rushed into battle, like the fighting of the First World War. 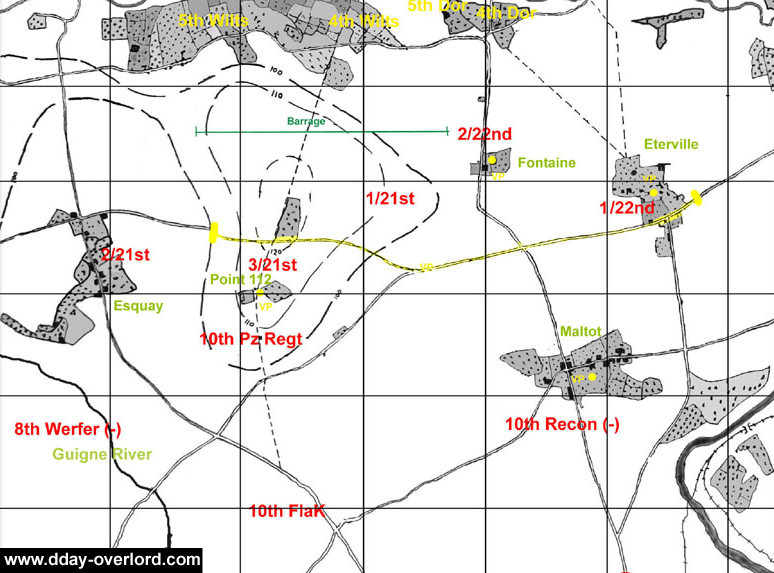 5th Wiltshire is progressing south towards Esquay-Notre-Dame while on its left flank, 4th Somerset aims at the summit of the 112th and in particular the Cross of the Filandriers, following the road of the Haussé called the “Duc Guillaume”. He is accompanied on his left flank by the 4th Wiltshire while the 5th Duke of Cornwall’s is in reserve. The SS of the 9th “Hohenstaufen” let the first infantrymen pass before attacking them in reverse: the British did not succeed in passing the Cross of the Filandiers, 1,500 meters from their starting point. At the same time, the 214th British Brigade (composed of 7th Royal Hampshire and 4th Dorsetshire) and the 9th Cameronians of the 46th Scottish Brigade attacked in the direction of Eterville, a village northeast of Hill 112. They reach it at around eight o’clock, but they are also stopped by the powerful German artillery, both direct and indirect fires: 88 mm guns, mortars, Nebelwerfer rockets, Tiger tanks and Panther… 7th Royal Hampshire reaches the village of Maltot, east of Hill 112, in spite of this deluge of steel, but must retreat because its situation is more than critical and its losses are too great. At the beginning of the evening, the 5th Duke of Cornwall’s, which had previously been in reserve, set out for the woods on the east side of Hill 112, the Bois Carré (which the Germans call the ” Half trees “due to the effects of artillery, active in the area since the end of June 1944). Caught under the fire of machine guns and German guns, he undergoes heavy losses and the wounded are evacuated backwards as best they can. The Bois Carré is reached by the British who bury themselves there at nightfall to protect themselves from enemy shells and counter-attacks. These last all evening and all night until the next morning. Captain David Willcocks of the 5th Duke of Cornwall’s Light Infantry was particularly illustrated during the night of fighting by asking for and guiding artillery fire that inflicted heavy casualties and broke the German attacks. 250 losses are to be deplored for his regiment during the night, in particular its commander of corps and one of the commanders of unit. He took command of the regiment’s staff and organized the defense, allowing his men to stand firm in the steel storm that was falling on them. For this action, he was decorated with Military Cross, one of the most prestigious military medals of the British army. 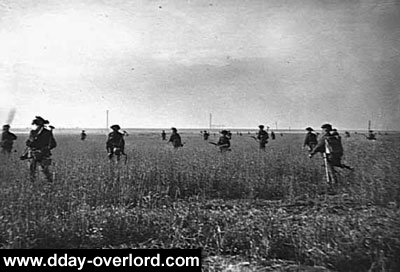 The pressure is such that the British have only the choice of withdrawal if they want to keep men and equipment to restart the action later. Supported by the Scot Greys Sherman tanks, the men of the 43rd Wessex Infantry Division retreated to their point of departure throughout the afternoon of July 11, 1944. Within 36 hours, the British lose nearly 2,000 soldiers, killed, wounded, missing or prisoners. This heavy report resulted in a lack of human resources during the following days for the British forces, who had to re-equip their units with men and equipment as soon as possible. German losses are unknown. If the British did not remain on Hill 112, the Germans also did not manage to return. The hill then becomes a no man’s land whose heights do not benefit anyone. However, the report of 10 July 1944 is positive overall: several villages fell into the hands of the Allies as a result of operation Jupiter. Moreover, the Germans wanted to withdraw from the front the 9th SS “Hohenstaufen” to recomplish it in men and equipment in order to form a particularly strong operational reserve force. Jupiter’s attack kept this division on the front, preventing the Germans from achieving their strategic objectives. It was not until the 4th of August 1944 that the Allies became definitively masters of Hill 112.